We have everything a hunting or archery enthusiast could ever want! Matthews, Mission, Hoyt. Bucks & Bulls Archery only carries the best brands! 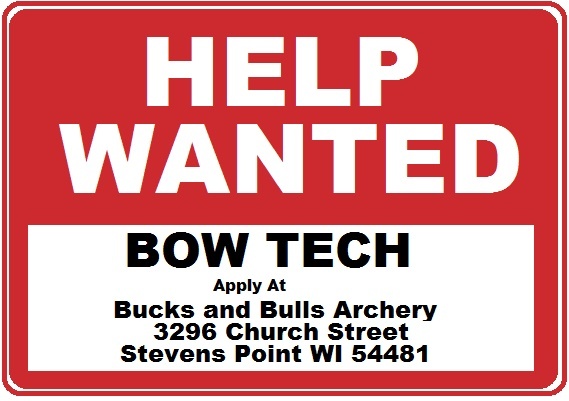 Refine your skills or learn how to shoot at Bucks & Bulls’ Indoor Archery Range! Advice from experienced professionals. Take your archery skills to the next level! Learn from some of the best archers in the state! We service all makes of bows. Custom strings, custom arrows. We’ll give your bow a full tune-up! Cub Scout Pack #265 came and shot a lot of arrows. We had targets lined from one wall to the other. They had a good time. They also shot at balloons. Good Times…. This was such a fun party…. Thank you for letting us be a part of your day. Still spots left to shoot in the Archery Tournament for Aim for a Cure! You can also sign up for the Celebration of Color Run/Walk… Please come and join our support for Marshfield Clinic’s Research For Cancer. Gary was an excellent teacher for my two girls. They learned a lot, were on their way to having good form, and couldn’t wait to come back and shoot again. The staff are all knowledgeable, helpful, and friendly. They foster a great sense of community. Great people, friendly service! Gary and the boys will treat ya right and get you what you need! This place was recommended to me by a friend, and it took about one minute after seeing foot through the door to see why. Knowledgeable staff that really want to set you up right for your needs, which isn’t to say that they always push you to the most expensive gear. They really want to see you comfortable with the gear you’re using so you can be successful in the field. Do yourself a favor and stop in here next time you need your bow out crossbow tuned.